Home » Clomid 50 ml 50 mg Atlas Labs. 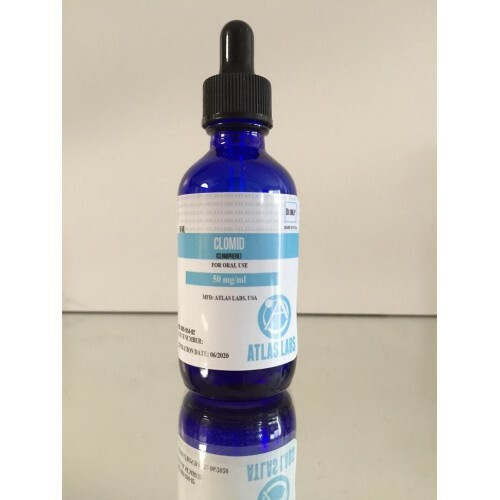 Clomid 50 ml 50 mg Atlas Labs. What is Clomid 50 ml 50 mg Atlas Labs.? Clomid the another name and active substance is Clomiphene. It has been legally manufacturer by Iran hormone by the Iran state and are sold in pharmacies. Clomiphene is a post cycle therapy drug which should be especially used in cycles that contains Nandrolone and Trenbolone. Clomiphene should be taken 3 weeks after the last injection of nandrolone decanoate in cycles that includes nandrolone decanoate. One of the most popular post cycle therapy drug is Clomid to stave off gynecomastia and raise the body`s natural testosterone levels. The substance is Clomiphene Citrate. Clomid isnt classified as anabolic steroid but is a prescription drug. It blocks / minimizes the effects of estrogen in the body and has both agonist and antagonist properties and is very similar to Tamoxifen(Nolvadex). Clomid is clinical used to oppose the negative feedback of estrogens on the hypothalamic-pituitary-ovarian axis which enhances the release of LH and FSH to help induce ovulation but does not offer a huge benefit to women compare to men. The elevation in both follicle stimulating hormone and luteinizing hormone will cause a natural testosterone production to increase. This is very beneficial to those who uses a steroid cycle when endogenous testosterone levels are depressed. 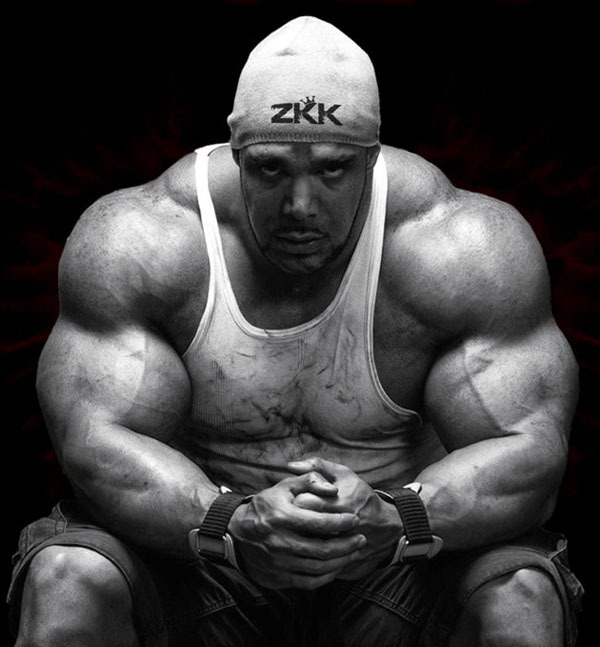 If the testosterone levels arent brought back to normal, a dramatic loss in size and strenght will be lost once the anabolics have been removed because without testosterone or other androgens, the catabolic hormone cortisol becomes the dominant force affecting muscle protein synthesis. In short which means it brings a catabolic metabolism. It can eat up much of your newly acquired muscle. For women it can increase fat loss and muscularity, particularly in female trouble areas such as the hips and thighs when its used near contest time but also produces troubling side effects in women and arent because of that a high deman among female athletes. A combination of Clomid and HCG (also called Pregnyl) will give an immediate boost in testosterone and is preferred by many for the first week or two after finished steroid cycle. Clomid can also help with elevated estrogen levels during a steroid cycle as it does help with the post-cycle testosterone crash. Clomid will also prevent gynecomastia. However the estrogen blocking properties of Clomid is slightly weaker than Tamoxifen(Nolvadex). Clomid does also minimize the activity of estrogen in the body and warding off gyno and excess water / fat retention. The Clomid/Nolvadex and Proviron combination is very effective. But Arimidex, Femara or Aromasin is much more effective than these drugs. Clomid is a very safe drug. But can cause in some cases hot flashes, nausea, dizziness, headach and temporarily blurred vision buy is seldom reported by users. Females does feel theside effects more than men. Women can clearly gain some benefit from Clomid and therfore not a high demand among female users. For male: a daily intake of 50-100 mg (1-2 tablets) over a 4-6 week period will bring the testosterone productions back to normal. 300 mg / day 1, 100 mg / day for days 2-11, and 50 mg / day for days 12-21 is a very common dosage too. Clomy(Clomid) 30 Tablets 50 mg Gen-Shi Labs.